State College, commonly known as Happy Valley, hasn't been as happy as usual in the last week. Over the weekend the legendary football coach Joe Paterno passed away. 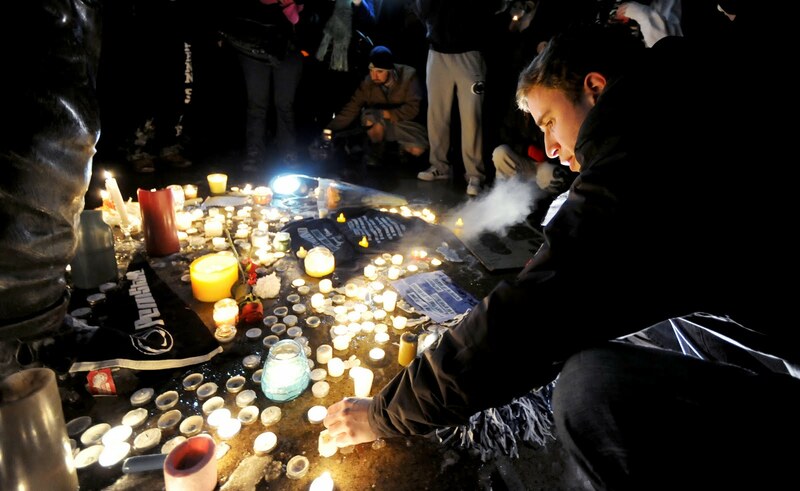 The week was full of events and mourning and the national media swarmed to town. I am going to share some of my photographs from the week in several entries. It was Saturday afternoon when rumors that Paterno was gravely ill started to circulate. By the early evening it was confirmed that family members and close friends were at the hospital where was battling lung cancer. 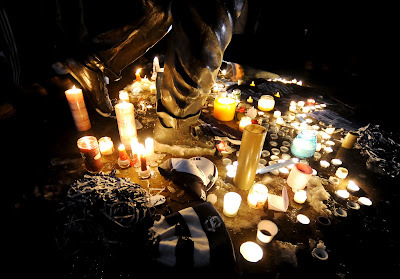 After the news spread students and community members started to flock to the Joe Paterno statue that sits next to Beaver Stadium. They brought flowers and candles in support of the 85 year old. I also made a short video everyone who gathered at the statue.